It's not as though I'm surprised by the fact that my energy levels while fasting are low overall. I guess I just made some leaps on how much I would be able to accomplish while fasting. I presumed temporarily exchanging my hectic life of parenting my five children with my husband and working full time for a brief life of leisurely fasting might still leave me with more energy. Wrong. I think I underestimated the amount of healing that would be going on inside my body and just how much that healing would require as I slink through each day. General Wellbeing: I am doing well in all respects with the expected exception of being very tired. I am four weeks and five days post my last Remicade infusion and I am almost 100% pain free! I am still having some very minor low back and hip pain. Nothing abnormal for fasting though. Just gotta motor on through these next six days! Today's post is brief. My basic goal today is simple: drop an update and let my wide fan base know where I'm sitting just over a month into this process. That whole wide fan base bit was a little joke. However, what isn't a joke is that I feel truly called to share in this experiment. I've felt compelled since I began this journey just over two years to share my struggles and my ups and downs in the hope that I might be able to be some source of something positive for somewhere out there. I know what I've been through. I know the hell it has been. I know the days of really, seriously thinking your family would just be better off without you. The pain of wondering if the next step would even be worth it. The feel of being a burden and nothing more. 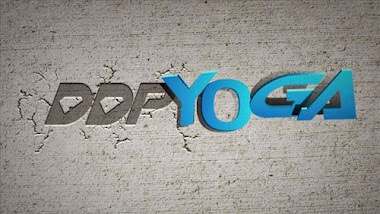 When I began doing DDPYOGA and cleaning up my diet, my life began to change in so many positive ways. And while I simply can NOT wait to be back on my DDPYOGA, I learned through DDP's program to keep going. I learned that was the start for me. I learned that I might have to keep fighting even after making positive changes. I learned that I might have to take things a step farther and keep searching for those additions to tweak the program to work even better for me as a person with auto immune issues. I finally learned to live life at 90% just like Dallas had been saying all along. I've learned to react and I've learned to adapt. All of this knowledge and searching brought me to where I am at the moment: into this little experiment at TrueNorth Health Center and right into a water fast. It brought me to something I never even would have considered doing six months ago. And so, I stand. I am your guinea pig. I'm here for you to learn from me. I'm here for you to see that there are alternatives, there are possibilities, there are other ideas and hopes out there. And they just might work for you as they appear to be working for me. So, don't be afraid to at least follow my story. Don't be afraid to make changes. Don't be afraid to live outside of your comfort zone. We can beat this thing together and I'm willing to take some bumps for you along the way!